Welcome, and thank you so much for visiting my site! Here's my newest news! My picture book, MAC AND CHEESE AND THE PERSONAL SPACE INVADER, will be published by Clear Fork/Spork in late 2019. Mac and Cheese are the class guinea pigs, and Oliver is their biggest fan. He loves taking care of them and learning about them. Oliver is a very scientific kid and carries around a notebook to write observations and sketch things he notices. He’s struggling to make friends, though, so he watches Mac and Cheese because they’re the best friends he knows. He sees them snuggling and cuddling with each other and assumes that to be a good friend, he’ll need to get cuddly with his classmates. 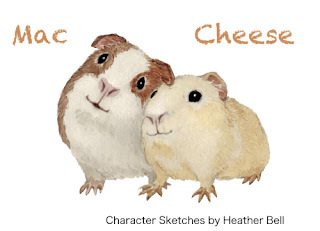 MAC AND CHEESE will be illustrated by the amazing Heather Bell. Look at these character sketches Heather created! Recently, I've been doing a lot of work in the picture book world. 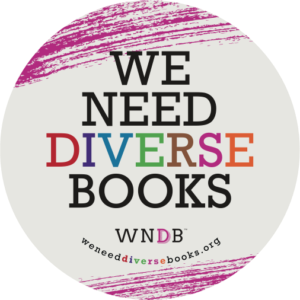 I am a We Need Diverse Books mentorship finalist, a Writing with the Stars mentorship recipient (working with Stacy McAnulty--yay! 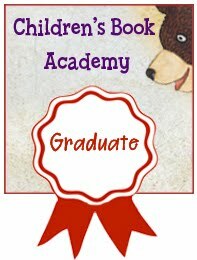 ), a Children's Book Academy Yuyi Morales scholarship recipient, a Cynthia Levison Writing Barn Picture Book Biography scholarship recipient, and a Highlights Foundation scholarship recipient. 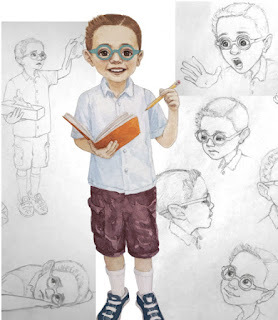 I worked with Minoru Tonai to write DON’T CALL ME #12803, a picture book that tells the story of his father being arrested by the FBI after the bombing of Pearl Harbor in 1941 and the incarceration of the rest of his family at Amache, an American concentration camp in Colorado. I interviewed the surviving members of America’s first Olympic judo team—a very diverse team for the time—and wrote THE ORIGINAL 1964 JUDO BROTHERS. This manuscript won Cynthia Levinson’s scholarship to The Writing Barn’s picture book biography workshop. While researching a nonfiction book proposal, I learned of Soraida Salwala, Thai conservationist and animal rights activist and the creator of the first elephant hospital in the world. With Soraida’s support, I wrote SORAIDA’S ELEPHANTS. I wrote COLOR WEAVER, a picture book biography about one of my favorite artists, Olga de Amaral, a Colombian fabric artist who has changed the world of textile art forever. I also wrote a holiday story, FRIDA FIREFLY’S GLORIOUS GLOW, that won first place in Callie Metler-Smith’s 2018 Writing Magic contest. 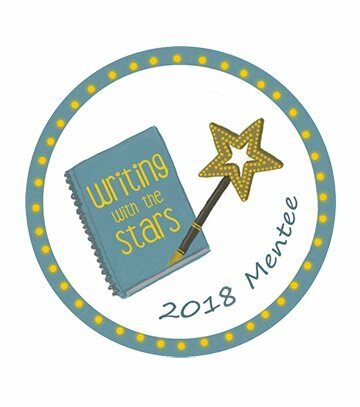 I won a Writing With the Stars 2018 mentorship. 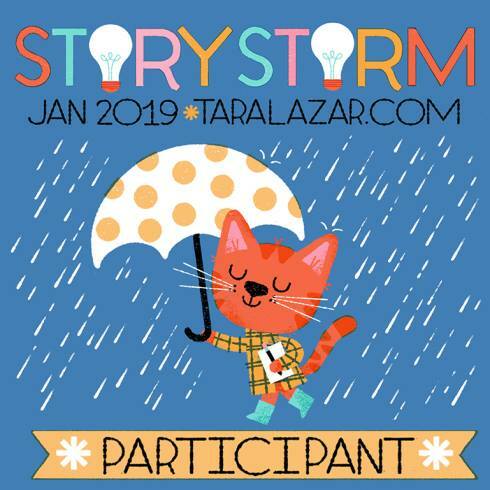 I was selected by Stacy McAnulty, and we’ve worked on three fiction manuscripts. We edited JOSHULA, the story of Dracula’s son, who wants to be just like his dad but just. . .isn’t. I wrote GERTIE GOES GLAMPING, the story of a glamorous girl who hates the dirt, smells, and discomfort of the great outdoors, and I wrote SLOAN THE SPEEDY SLOTH, the story of a sloth who’s a little too fast-paced for the rest of her family. And I'm the author of a young adult paranormal romance titled Devil.May.Care. Feel free to check out my site to see what else I've been up to! 2011. Simple theme. Theme images by alacatr. Powered by Blogger.